The aqu@ is a little pot that we click onto the nursery pot so that a water reservoir is created. The Little Lady is watered upon leaving the nursery. The water that is not directly absorbed by the Little Lady gathers into the water reservoir. 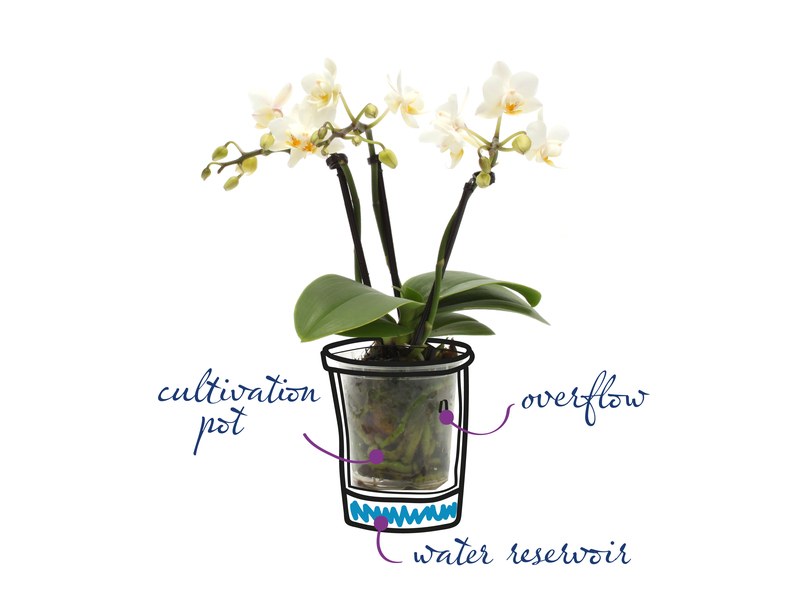 During transportation from the nursery to the consumer, the water collected in the reservoir slowly evaporates and is absorbed by the plant. The Little Lady receives enough water for 10 to 12 days, which allows it to stay beautiful for longer.